*Over the holidays, West Coast native, Snoop Dogg got his 1967 Pontiac Parasienne impounded after his friend was pulled over driving the car with a suspended license. The yellow convertible was hauled off to the impound yard on Christmas Eve. 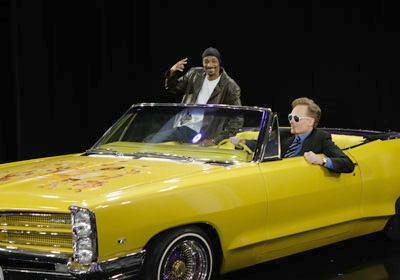 Despite him not being in the car, Snoop still had to pay the $261 fee to free his precious vehicle. Meanwhile, Keyshia Cole was also a “victim” of impounding when her Mercedes SUV was towed away after her nephew – in Ohio – was caught driving the expensive vehicle while intoxicated. But the singer didn’t trip about it, as it appears. She hasn’t even gotten the car out of impound yet, but if she does decide to get it, the tab will be $700, plus court fees. Next ArticleHip Hop Weekly Presents: A Tribute To Young Money!